Bangkok – Bespoke Suit in 24hrs and Tips! While planning my trip to Bangkok, Thailand, I had heard that it was possible to get bespoke shirts and suits made in 24hrs! So we instantly added that to our itinerary, not sure of how easy it would be to achieve this when we arrived there as first time visitors. We were given the option of the tailors coming to our hotel or going to the tailors with a complimentary shuttle bus offered by the tailors. We chose the shuttle since it would give us the opportunity to see the town as well! The shop was big, clean and tidy and the tailors were friendly and spoke English. 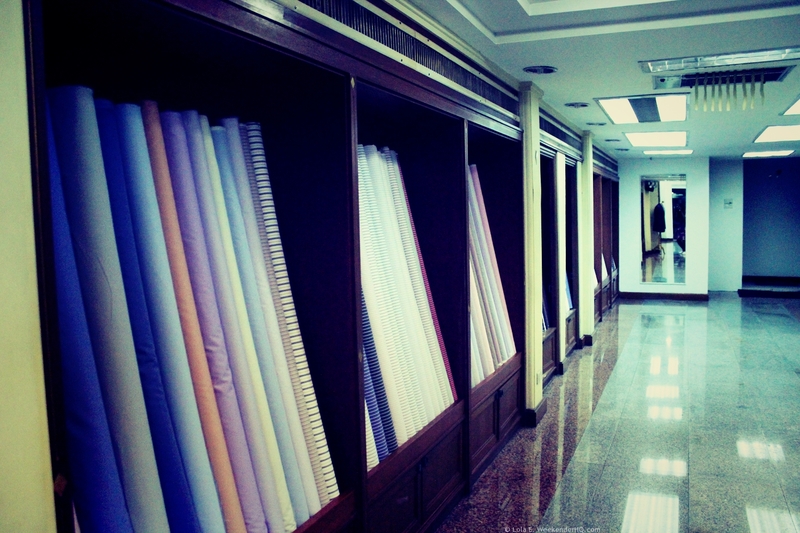 They had a wide range of fabrics to choose from, we decided to sew a few suits and blazers. We went back the next day for a fitting but it wasn’t a big rush for us as we were heading to Phuket for a few days. The plan was to collect the finished items on the day we arrived back in Bangkok which was also the day before we left for the UK. The tailor came to deliver our items the night we arrived at Bangkok. Voila! Some items were a perfect fit but the others needed alterations so we left those items behind for further work. We received them in the post 2 weeks later and the issues had been fixed. Research – Do some research online before you travel to have an idea of the tailors you could visit that fit your needs and also ask for advice at your hotel concierge if you have one. Time – The item can be finished in 24 hours but there may be some slight issues in terms of fitting due to time constraints. 3 days for a suit is usually a better option, less for shirts and blouses as confirmed with the tailors. Ensure you have fittings done. Quality – The suits and all the other items were top quality, but a tailor made suit in a high class bespoke tailor like Apsleys for instance will most likely be better. The quality is more like the high street UK brands but costing significantly less and bespoke! Price -You should be able to haggle/negotiate to get the best price. Price-wise, we got a great deal, significantly cheaper than an off the shelf suit on the high street in the UK or a high class bespoke tailor. See the finished products below, some more pictures and subscribe to WeekenderHQ today!